14) The BackPage: What distinguishes a Heartfelt Holiday? *** A noble purpose — So you’re already guessing where I’m going here. I just really can’t get very excited about holidays that celebrate witches, goblins, and spells. With all due respect to some lady who writes children’s books in England (and gets rich over them), I’m not a fan. Nor do I get jazzed about bunnies, chocolate [ok, I like M&Ms], flying reindeer [let me think one more time about the reindeer], or getting up at 4am to stand in line for 2 hours in hopes of buying my cousin just the right toaster oven. I mean, puh-leeeeze. Don’t show me another giant pumpkin — especially if I’m supposed to camp out in the garden to wait for him to *come*. Nope. Really *classy* holidays have to have a purpose that points heavenly, or uplifts the soul, or creates a positive dynamic for the community — and especially for the *family*. *** A community memory — The community could be the whole country, but it could also be a town, church, or even a family. Sometimes I wonder, for example, if 9/11 will become a classy holiday someday. Sometimes I think it has the potential. In some ways, we’ll never know — until that community memory develops. Classy holidays cause families to remember being together around a piano, singing Christmas carols. Or going sledding. Or, in the case of Thanksgiving, joining hands around a noon meal, giving thanks to the Creator for another good year. Even if the year wasn’t so good — giving thanks for another year, at least. *** Cultural symbols — This could be music. Music is good. 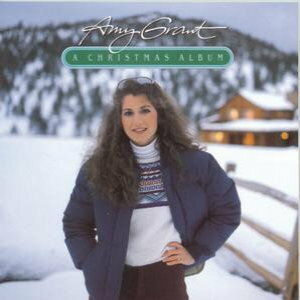 If Amy Grant is involved, she could even sing it in a cheesy television special, as long as there’s snow. Gotta have snow. Either way, music stirs the soul, gladdens the heart, melts us into a common thread of celebration, or even common suffering over whatever it is we’re remembering. And by singing about it, even if we’re saddened by it, maybe it becomes a memory of the past rather than a page of our present. Other cultural symbols work too. Stars are cool. And even pumpkins are all right, as long as they aren’t alive. You get the idea. *** A special role for children — I know… this one comes unexpectedly, but I honestly think that the classiest holidays provide some special place for kids. They either sing in a play, march in a band, get a gift, or better yet, give a gift. They look with fascination at a train set in fake snow, or make place cards for mealtime. They laugh. They absolutely *have* to laugh. And they usually have to travel somewhere, eventually. Or — maybe they are sobered by a sacrifice someone made. Maybe a sacrifice that many people made. Maybe even their own lives. Either way, *kids* — they gotta mix in there somewhere. So, that’s why I’ve concluded: Thanksgiving is a heartfelt holiday. Let’s face it: It has one of the noblest purposes of all. Even a non-Christian can get jazzed about saying thanks — to someone, for something. Or at least the non-Christian will likely appreciate the food, family, and friends around the table. And it has, until now, preserved an incredibly sound non-commercial appeal. Giving thanks for a great harvest — now there’s a fantastic cultural memory for an agrarian community. Now I hasten to add here — I’m a little worried, just a little concerned lately, about Thanksgiving. This year, just about every store is open at 5am on Thanksgiving Day as well. It isn’t enough that they take over the Friday *after* Thanksgiving. Eventually, it all comes around to selling something. Making a buck. And now, this year, all the stores are open on Thanksgiving Day as well. So maybe the age-old tradition of saying thanks at a special meal will eventually be replaced by thinking that Thanksgiving is this fantastic shopping-crazed weekend frenzy, you know? So — the way forward. Today, and throughout the week, as you make your way through box-strewn aisles of candy, decorations, and gaming consoles, please help us preserve a strong community memory of saying thanks to the creator for the bountiful blessings of the harvest, and remember Thanksgivings past. Cook up a turkey, even if it’s the kind in a box in the freezer section. And above all, pull those kids together to make placecards for everybody so we’ll know where to sit. Sing “We Gather Together…” and tell a story from your childhood. Reclaim Thanksgiving from Sony and Nintendo, though I’m sure their Marketing Departments are thankful for this week, just the same. Either way, have a great Thanksgiving and — don’t forget the ultimate sacrifice that paves way for the ultimate blessing for which we ought to be ultimately thankful. Amen. PS. What’s your favorite Thanksgiving memory? Click comment (at the link below) and share it.